Aerotek is a leader in the recruiting and staffing industry. With more than three decades in the recruiting and staffing industry, we have developed the knowledge and skills to deliver the perfect fit between a candidate and an employer. 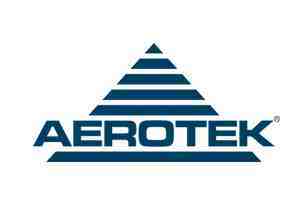 Aerotek was founded in 1983 to service the recruiting and staffing needs for the aerospace and defense industry. Due to Aerotek’s rapid growth and success, we’ve continued to expand our services to provide recruiting and staffing to many industries focusing on technical, professional and industrial staffing. Aerotek is an operating company of Allegis Group® Inc., the largest recruiting and staffing company in the U.S. Allegis Group is comprised of a group of specialty service companies that provide niche staffing services throughout the U.S., Canada and Europe. At Aerotek, we continually provide the recruiting and staffing expertise our contract employees and our customers agree is integral to a successful partnership. Our mission is to bring great people and great organizations together. This is the foundation that has made Aerotek who we are today.